Behtash Babadi received the Ph.D. and M.Sc. degrees in Engineering Sciences from Harvard University in 2011 and 2008, respectively, and the B.Sc. degree in Electrical Engineering from Sharif University of Technology, Tehran, Iran in 2006. From 2011 to 2014, he has been a post-doctoral fellow at the Department of Brain and Cognitive Sciences at Massachusetts Institute of Technology as well as at the Department of Anesthesia, Critical Care and Pain Medicine at Massachusetts General Hospital. His research interests include statistical and adaptive signal processing, neural signal processing, and systems neuroscience. A. Sheikhattar, S. Miran, J. Liu, J. B. Fritz, S. A. Shamma, P. O. Kanold, and B. Babadi, Extracting Neuronal Functional Network Dynamics via Adaptive Granger Causality Analysis, Proceedings of the National Academy of Sciences, Vol. 115, No. 17, E3869-E3878, April 2018. S. Miran, S. Akram, A. Sheikhattar, J. Z. Simon, T. Zhang, and B. Babadi, Real-Time Tracking of Selective Auditory Attention from M/EEG: A Bayesian Filtering Approach, Frontiers in Neuroscience, Vol. 12, pp. 262, May 2018. N. A. Francis, D. E. Winkowski, A. Sheikhattar, K. Armengol, B. Babadi, and P. O. Kanold, Small Networks Encode Decision-Making in Primary Auditory Cortex, Neuron, Vol. 97, No. 4, Feb. 21, 2018. P. Das and B. Babadi, Dynamic Bayesian Multitaper Spectral Analysis, IEEE Trans. on Signal Processing, Vol. 66, No. 6, pp. 1394-1409, March 2018. A. Kazemipour, J. Liu, K. Solarana, D. A. Nagode, P. O. Kanold, M. Wu, and B. Babadi, Fast and Stable Signal Deconvolution via Compressible State-Space Models, IEEE Trans. on Biomedical Engineering, Vol. 65, No. 1, pp. 74-86, Jan. 2018. S. Miran, P. L. Purdon, E. N. Brown, and B. Babadi, Robust Estimation of Sparse Narrowband Spectra from Neuronal Spiking Data, IEEE Trans. on Biomedical Engineering, Vol. 64, No. 10, pp. 2462-2474, Oct. 2017. A. Sheikhattar, J. B. Fritz, S. A. Shamma, and B. Babadi, Recursive Sparse Point Process Regression with Application to Spectrotemporal Receptive Field Plasticity Analysis, IEEE Trans. on Signal Processing, Vol. 64, No. 8, pp. 2026—2039, April 2016. Three electrical and computer engineering Ph.D. students were selected as ECE Distinguished Dissertation Fellows for 2018-19. Trip also included visits to the Wyss Center and Imperial College London. BBI-affiliated faculty instrumental to "Readout and control of spatiotemporal neuronal codes for behavior"
This paper published in PNAS develops a signal processing framework for extracting dynamic functional networks from neuronal data at unprecedented resolutions. Marcus, Fu, Simon and Babadi will build a scalable, risk-sensitive and real time optimization framework tailored to noninvasive neuroimaging data from the human brain. The brain encodes not only the acoustical properties of sounds, but also the behavioral meanings and decisions we make based on what we hear. 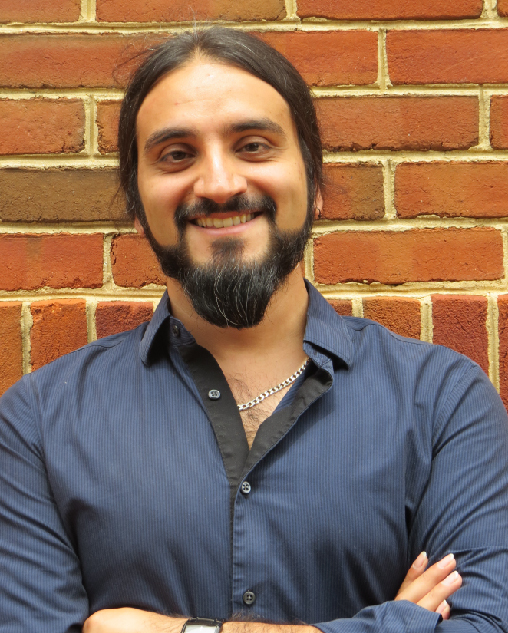 Bhaskar Ramasubramian, Hossein Salami, and Sayyed Sina Miran will receive funding to help defray the cost of presenting their research at a professional conference. The NSF awards have been issued to U.S. cross-disciplinary teams to conduct innovative research focused on neural and cognitive systems. The REU program combines cutting edge, team-based research with technical and educational seminars. While the Awards carry no cash prize, they convey the honor of being named among the top 2% of campus GAs in a given year.